I bet you read the title of this post and thought “Yeah right!”, but I can assure you that it’s doable and a great way to tackle clutter when tight on time. I like challenging myself a few times a year to go on a purging spree. However, it can be overwhelming and by the end, I’m burned out. You’re probably wondering what the deal is with this 10 minutes per day method. It’s very simple and I can assure you that you’ll start noticing the benefits right away. Don’t get started without having supplies handy. Searching for boxes and trash bags don’t count towards your 10 minutes. Reduce your social media time or work during naptime if you think your daily schedule is already full. I can assure you that you have more time than you think. The goal is to follow through and visualize the end result to help keep you motivated. Less stuff, less stress. Now it’s time to get moving. Set your timer and allow yourself at least 10 minutes. 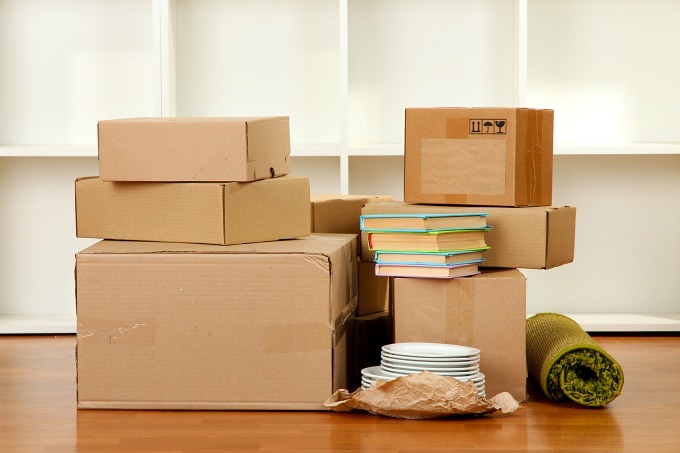 Start by decluttering the surface areas and visible areas. Why? Because it will give you instant gratification. You’ll see the progress you’re making and in turn, be motivated to keep going. Leave closets and drawers for the very end, as long as you don’t skip them. I like to play music to help get me going. And if you can recruit your kids or spouse to help out, that’s a bonus. Did you use it in the last year? No? Get rid of it! Yes? Move on to question #2. Will you use it again? No, out it goes. Yes? Move on to question #3. Can you live without it? Yes? Say goodbye. No? Keep and find a designated space for it. These questions will help you during the purging process, especially when you’re hanging on to items for sentimental purposes. Having a clutter-free home is an ongoing process. You can’t do this one time and expect the process to be done. The amount of stuff we accumulate in our homes throughout the year can add up quickly. 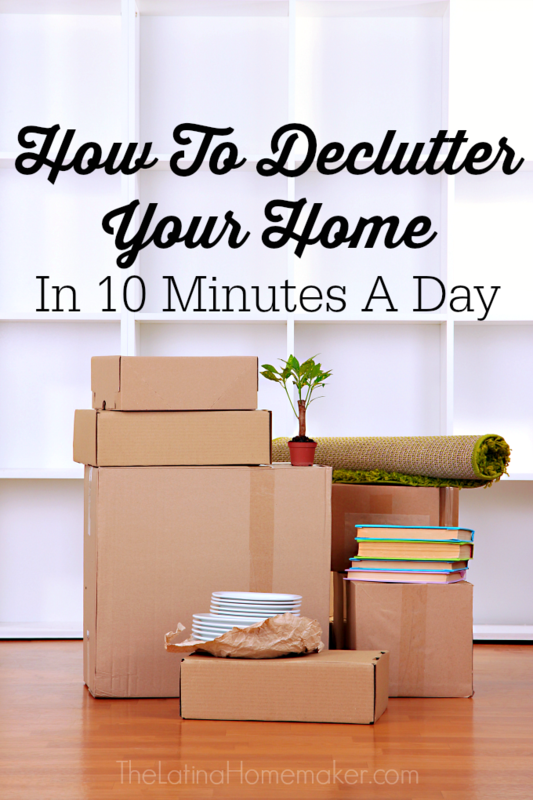 What’s great is that this 10-minute method works for those of you that are in a busy season and can’t dedicate hours to decluttering your home. Ten minutes a day will add up over time and before you know it, you’ll see a huge dent in your decluttering efforts. If you prefer to dedicate 15 minutes, 30 minutes or even a few hours each day, go for it! Do what works for you, but try not to get burned out and discouraged in the process. Do you struggle with finding the time to declutter? Please feel free to comment and share!